Trainer Tuesday: Can We All Be Coaches? It’s “Trainer Tuesday” and all last night I continued to think about how each and every one of us can be “Trainers/Coaches.” Most reading this piece love to train, race, stay fit, and are crazy passionate about the awesome sport we call OCR. So with this piece today, I’m not going to give you any quick tips on how to improve your running or how to conquer your next obstacle. I’m going to discuss the importance of inspiring the person next to you and every time you do, you are accomplishing the absolute most important part of being a Trainer/Coach. What motivated me to take this direction with this week’s piece was a conversation I had with two of my new clients yesterday. They are nervous about the daily boot camp workouts I’m having them perform with our group, they are nervous about what it will take to stick with the program, and they were nervous when I brought up the idea of possibly joining us for an obstacle course race this year. Even if you’re not a coach, you know exactly what I’m talking about when I say, “nervous about sticking with a program or joining you for an event”. Most of you have been there with friends and family members. In these moments, we are all coaches and embracing the real reason why our sport has been so successful needs to be in our message. OCR is much bigger than race day. It truly is a movement. I argue that it’s one of if not the largest fitness movements to ever take place. Tough Mudder truly is about “Community”, Spartan’s motto “ripping people off the couch”, BattleFrog “Can I do it – Yes You Absolutely Can”, Warrior Dash “A Good Time With Friends”, Savage Race asks “You Ready To Create A Lifelong Memory”. 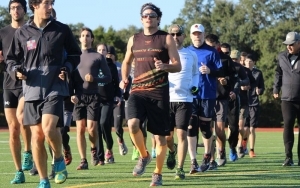 Many of us love to race and compete but for the majority of the nervous crowd, we can step out of our workout crushing training mode and all be coaches. I can’t think of another sport on the planet more fun to introduce someone to and I’ve grown to appreciate and respect that nervous feeling almost every person feels when they want to make the commitment to improve their lifestyle through fitness and possibly even dive in and do a race with my group. It’s important for me to remember that first Warrior Dash in 2010 when I was super nervous. I had no idea what to expect and I was nervous! Now I call Warrior Dash the “gateway drug” and I hope they never go away because they are such a great introduction to our sport. 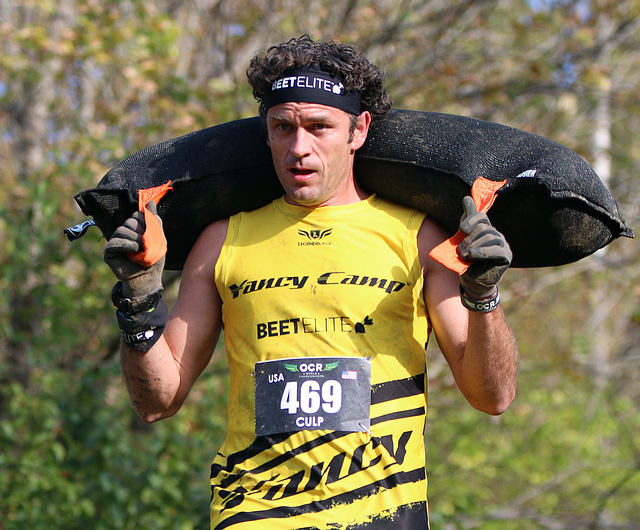 Yancy is the owner of YancyCamp.com, where he provides online OCR training for all levels of fitness, was recently named as one of the 50 most influential people in OCR by Mud & Aventure, the 2015 Runner-Up Master\'s Athlete Of The Year by Mud Run Guide, and is a member of Team BeetElite.